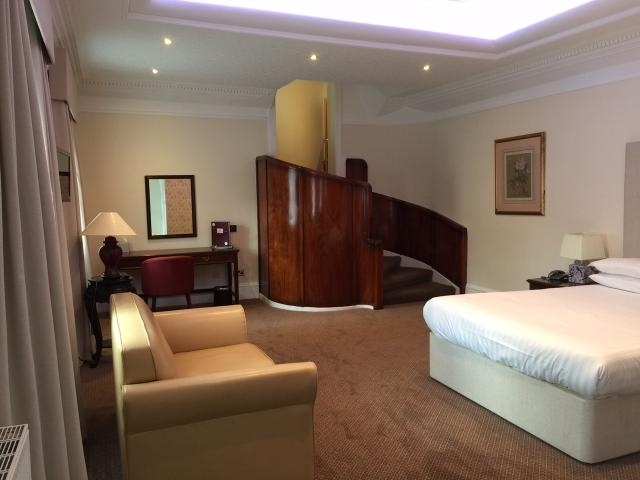 Located in the heart of The City of Perth, with stunning views over the River Tay. 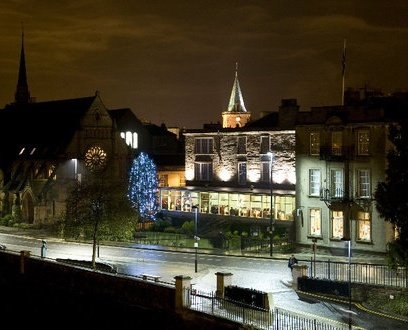 A minute's walk from the City Centre, Perth Concert Hall & Perth Museum. Free Wifi and limited free parking. Visit our website for our best online rates. 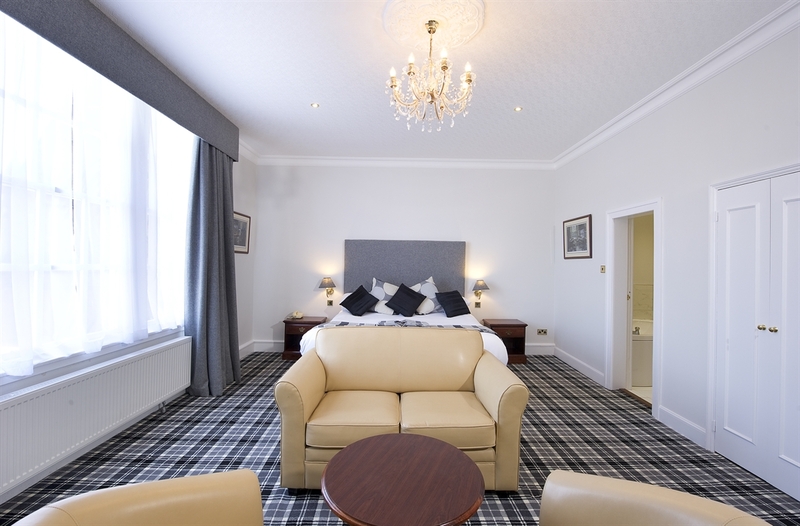 Located in the heart of The City of Perth, Scotland with stunning views over the River Tay! Idyllically located on the banks of the River Tay in the heart of Perth, The Royal George Hotel has been attracting guests to Scotland from around the world for over 230 years. Notable visitors have included Empress Eugenie and Queen Victoria, who made The Royal George Hotel her place of residence when she visited Perth in 1848. She was so impressed with its hospitality that The George Inn was renamed The Royal George Hotel in her honour, and both the Royal Warrant and two lamps, fashioned from the bed the monarch slept in, are still in the hotel today! With this Royal connection, we were delighted therefore to welcome her great, great, great grandson, HRH Prince Edward to The Royal George more recently. 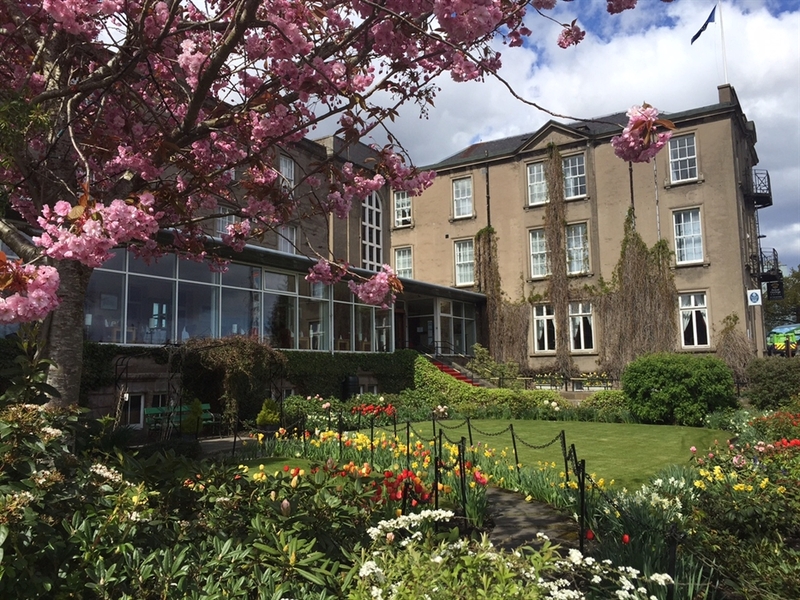 Today with salmon and sea trout crowding the waters of the River Tay, The Royal George Hotel is a haven for anglers, and with St Andrews, Gleneagles and Carnoustie just a short drive away, it is a highly popular venue for golfing breaks. Horsecross, Perth's concert and conference hall is under a minute away from our door and Perth theatre, less than five minutes walk, meaning our guests are never short of activities. If that all sounds too energetic, why not relax by the log fire in The Helen MacGregor lounge overlooking our award winning gardens, where guests have an opportunity to take in the unspoilt views of Perth Bridge and the River Tay. 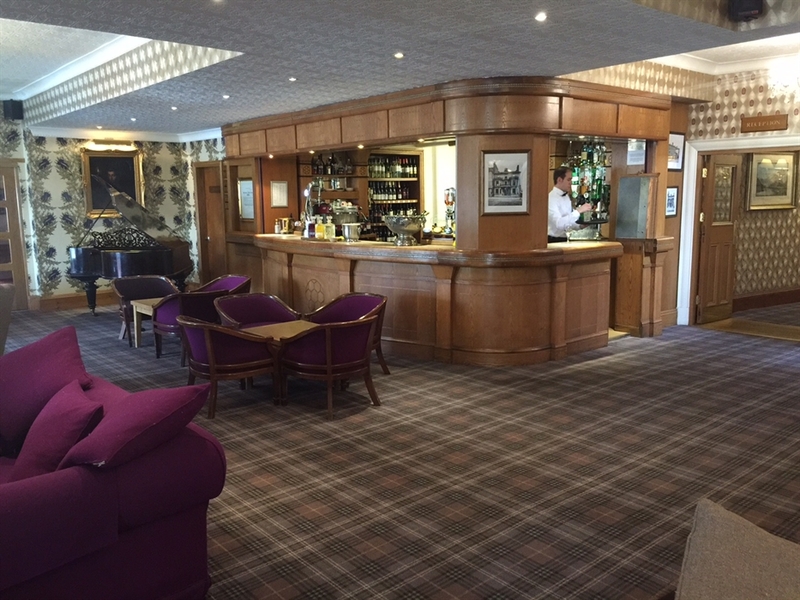 Only an hour North of Glasgow and Edinburgh and 30 minutes from both Stirling and Dundee, The Royal George is ideally placed for business users. Our ballroom can accommodate 150 delegates and there are a further four breakout rooms and two restaurants. Free Wifi connection is available throughout all public areas. The hotel has hosted The Scottish Government, The Liberal Democrats and The Scottish Conservative and Unionist Party for their respective annual party conferences in 2008, 2009, 2010 and 2011, and we look forward to welcoming the SNP back to The Royal George in October this year. At The Royal George Hotel we take pride in ensuring that our guests have both a comfortable and relaxing stay while with us, and we look forward to welcoming you in the near future.